Facebook appears more to be catching up with what its competitors have already rolled out to the market than innovating on new products. The social media company is said to be experimenting on a voice-to-text application for the Messenger service to allow users of the app to convert spoken words into written texts. Of course some of you may already be using other services of the same function such as Google Voice, Apple’s iMessage and BlackBerry Messenger, to name only a few. 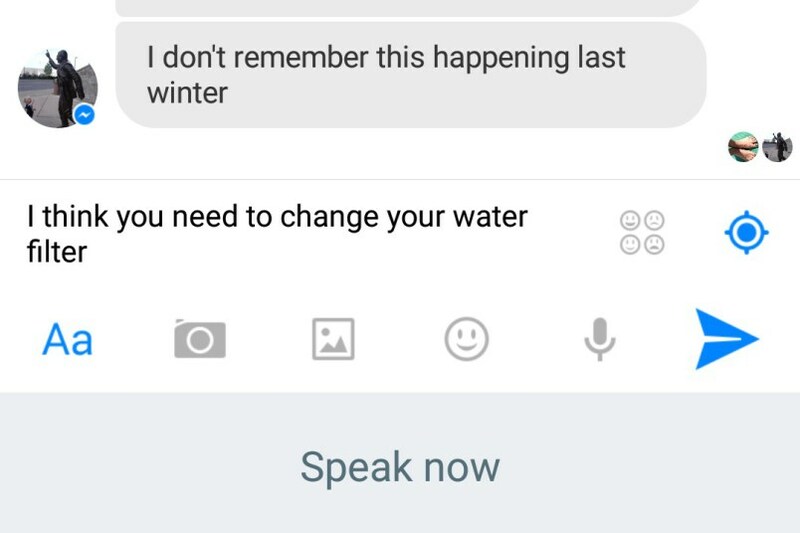 From all indications, nothing more can be expected from this new Facebook product than transcribing your voice into text for the recipient to read your message amid a madding crowd or inside a church perhaps. And for those who have not discovered it yet, there are handsets whose keypad is designed to support voice-to-text transcription. The reason for creating the voice-to-text app could be user base expansion for Messenger. Currently, Facebook is still begging the users of its core app to install Messenger as the primary messaging app. But most users constantly refuse to comply with the call. I personally find it unnecessarily redundant to have two apps for one service that otherwise could merge the services into one. Aside from saving memory space, it will also spare users from the hassle of having to switch between apps just to read messages and see pictures of friends. But that is a thing that Facebook seems to disregard in forcing users to subscribe to its idea of separating the core app and Messenger. At present, Facebook claims more than 500 million monthly active users of Messenger. The plan is to integrate a machine-learning technology into the service in an effort to address what Facebook sees as a problem with typing in some languages, particularly in Asia, where it hopes for the voice-to-text app to gain the most traction. Initially, Facebook said it would try different things with the app in order to address the primary concerns and requirements of users, and in the long run generate revenue from the service. It could mean either of two possibilities: first, that Facebook will bombard the Messenger with ads or offer the service as a premium app. The first possibility seems more likely. But that also could pose a backlash to Facebook, as that might force users to move into other messaging platforms where they will never be cluttered with ads. WhatsApp, which Facebook recently acquired, is also expected to have the same feature when the system proves to be a catch for Messenger.